Our special focus since 2001. Although we work with a wide variety of organisations and individuals inside and outside the legal world, we have had a particular focus on barristers’ chambers since we started working with Pump Court Tax Chambers in 2001. 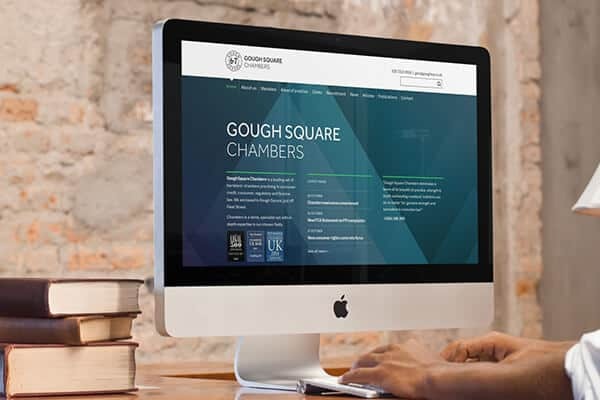 We now work with 20 sets of barristers’ chambers to promote their members and expertise online. Our work includes not only the original design project but also ongoing support in a relationship that may last many years. We know from experience how important it is to keep a barrister’s profile online, easy to find, clear to read and regularly updated. That’s why much of our time is spent on polishing a rock-solid content management process for barristers’ chambers. 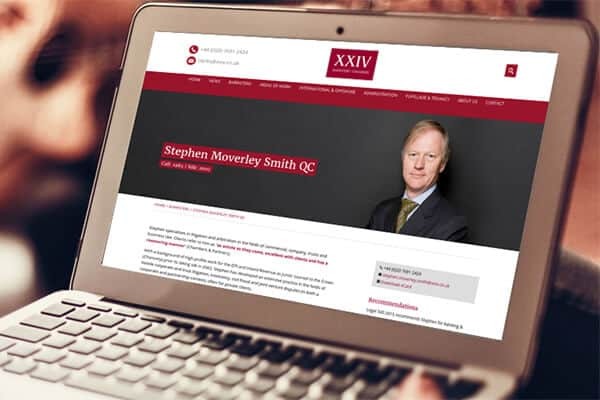 We’re well versed in the particular processes of different chambers: some having marketing departments, others relying on busy barristers to make decisions about their website; some wanting total in-house control, and others welcoming more hands-on assistance from us. We tread the line between establishing a clear house style for a chambers and allow individual members freedom to customise their own profiles. Some of our clients go beyond the standard profile directory websites, and we’ve enjoyed helping them to develop online event booking systems, CPD training platforms, mailout and social media strategies, practice microsites and more. We’ve also developed original branding and designed print publications for some of our chambers clients. 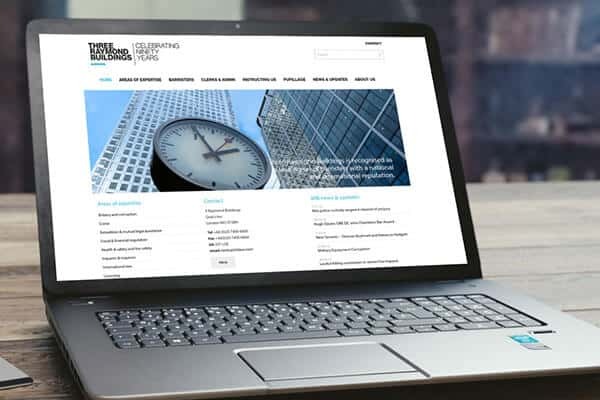 Our work also includes personal sites and social media branding for individual barristers, microsites for arbitration & mediation teams, teaching resources for law professors, and four Bar associations. Our tailored version of the WordPress CMS, just for barristers’ chambers. Trying to run a membership association, event booking system and more in your spare time? Let us automate everything for you.